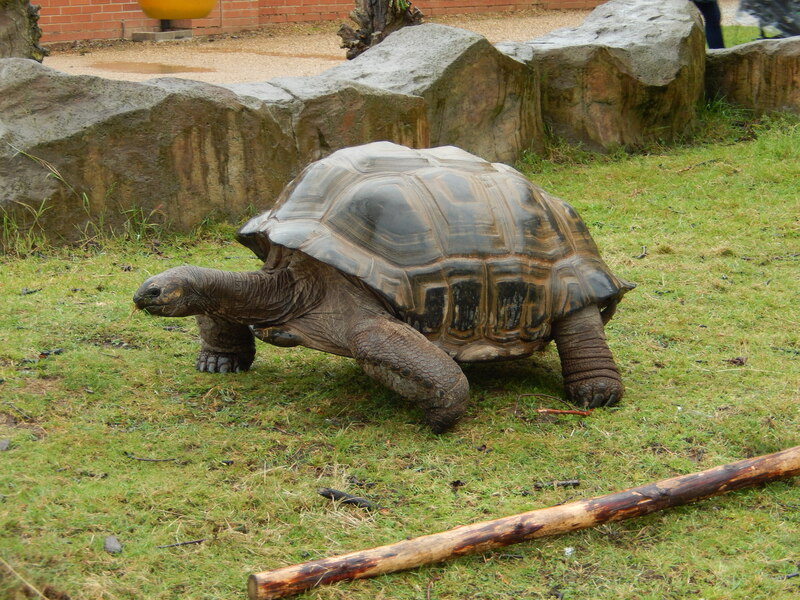 Your never too old for a visit to a zoo – are you? 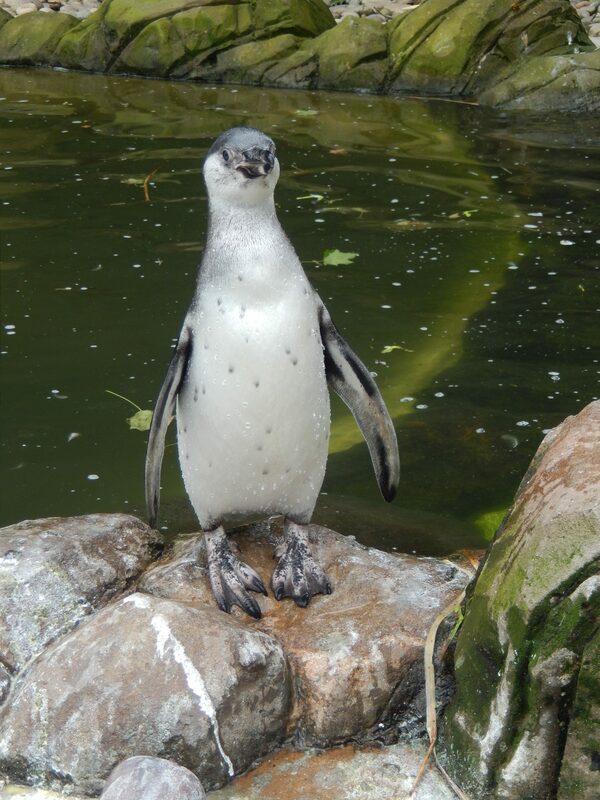 Well I have been given the opportunity to visit Twycross zoo, I have always loved animals and visiting any zoos, safari parks and rescue centres, I have worked in many rescue centres and I really do have a soft spot for all different types off creatures big and small. Twycross Zoo is now renowned as a World Primate Centre and has a wide variety of monkeys and apes including the UK’s only group of bonobos. They have breeding groups of many endangered primate species so often have babies and toddlers playing around in the great ape groups, and in many of the monkey groups. they also hold a range of other species including Asian elephants, snow leopards, penguins, meerkats, tapir, hyena, and the world’s rarest big cat, the Amur leopard. 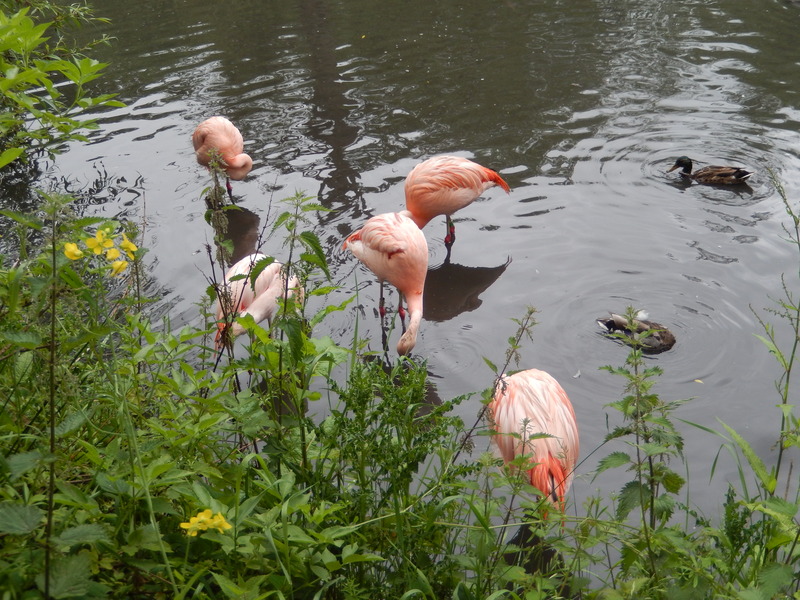 Set in more than 80-acres, they have around 500 animals of almost 150 species to see, including many endangered animals and native species in the Zoo’s Nature Reserve. You can walk with ring-tailed lemurs in their walk-through enclosure; see a troop of emperor tamarins leap above your head in their treetop exhibit, and watch the Humboldt penguins take their daily walk. Keepers present regular talks and feeds where you can learn a bit more about some of the animals such as the chimpanzees, Asian elephants and South American coatis. 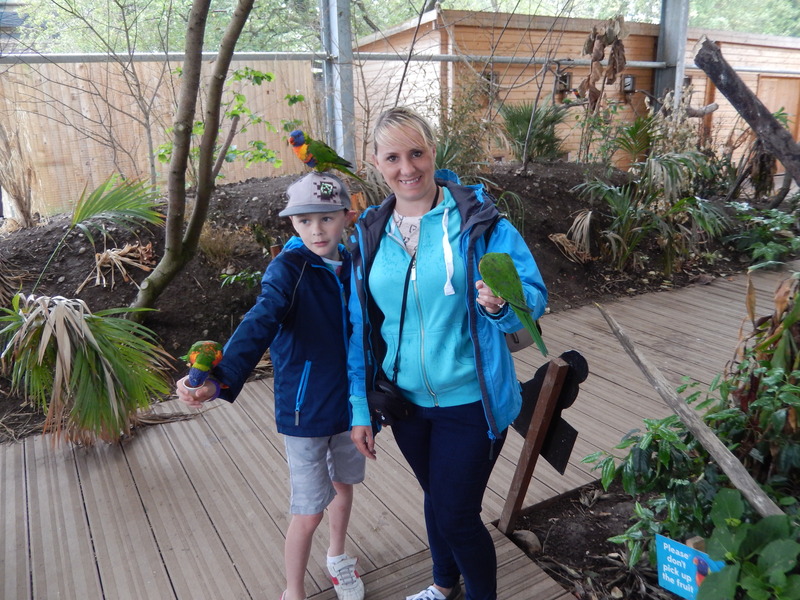 On Sunday 12th June I was invited along with my Fiance, Mum, Dad and Nephew to have a day out at Twycross Zoo, which isn’t a million miles away. We jumped in the car and it took us around 30 – 40 mins to get there. unfortunately it was a wet, rainy miserable day but we weren’t going to let a little rain mess up our day. 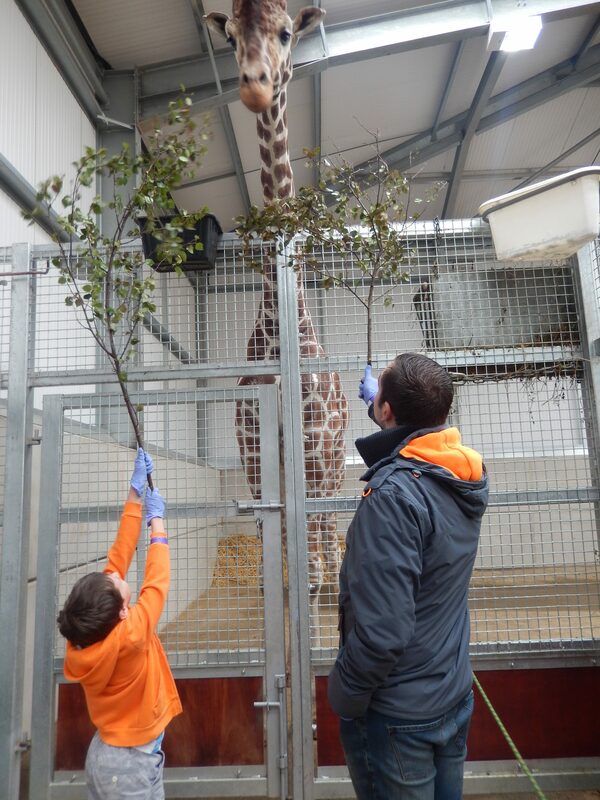 We arrived at the zoo around 11am and were told we were due to meet and feed the giraffes at around 3pm, We had kept it a secret from my nephew as it was a surprise for him. 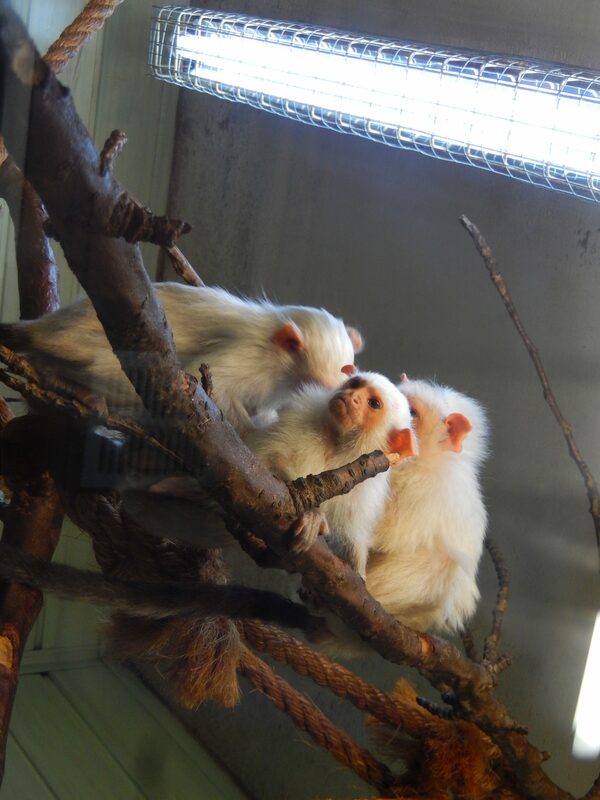 We started off looking round at all the other animals, I have always loved zoo’s ever since I was a little girl. 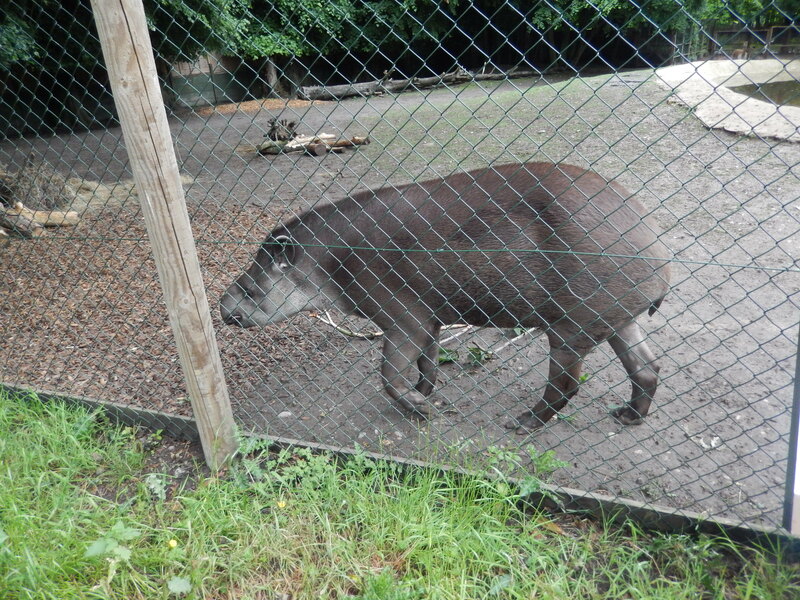 I don’t always agree with keeping wild animals in captivity – but that’s a different story. We started off looking at all the different types of monkeys, Gibbons, orangutans, Bonobos, Lemurs, Howler, Spider and so many more. Not all of them were out as it was a wet miserable day so they kept snug and warm inside you were able to see some of them in there inside enclosures. We just worked our way slowly round looking at the map as we went along to find what we were going to see next. 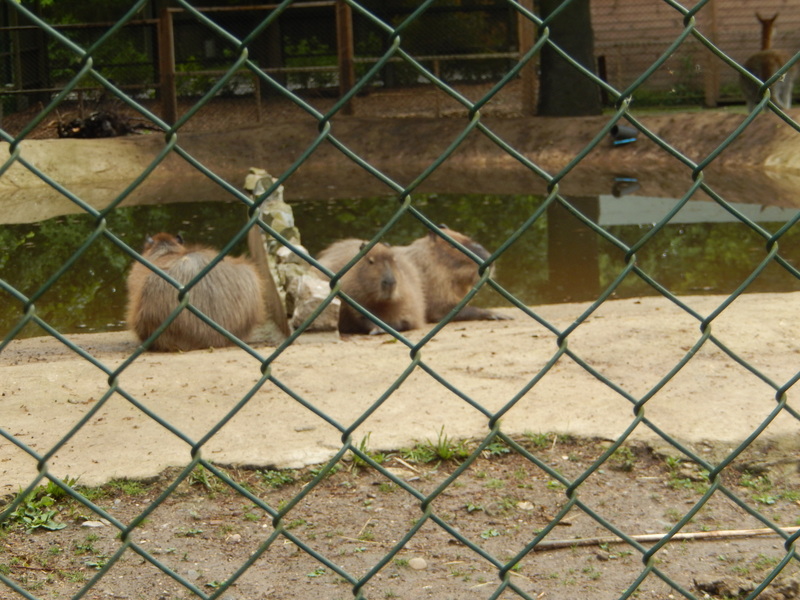 We saw, Elephants, Zebras, Kangaroos, Leopards, Otters, Meerkats, hyena’s and many more. 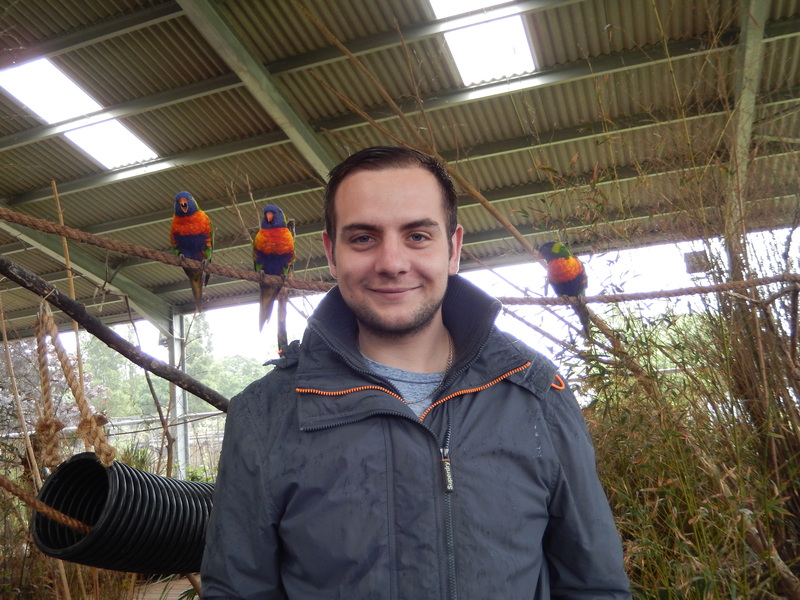 There is also a new attraction at Twycross called “Lorikeet Landing”. This is where you can buy nectar for £1 a pot and go into the walk through enclosure and feed and have the lorikeet birds land on you. I love birds and would love one as a pet. 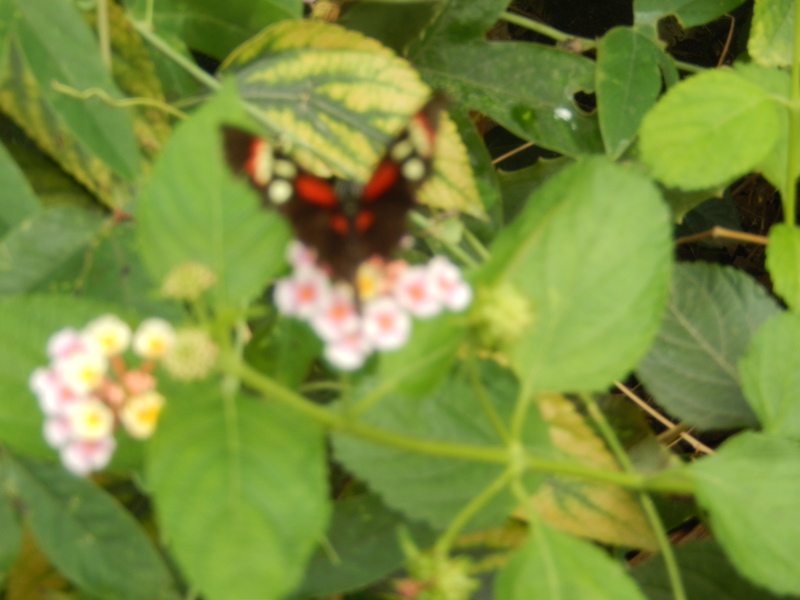 They are such beautiful creatures and so colourful. We then stopped for a quick hot drink break to warm ourselves up and to shelter from the rain for a little while. 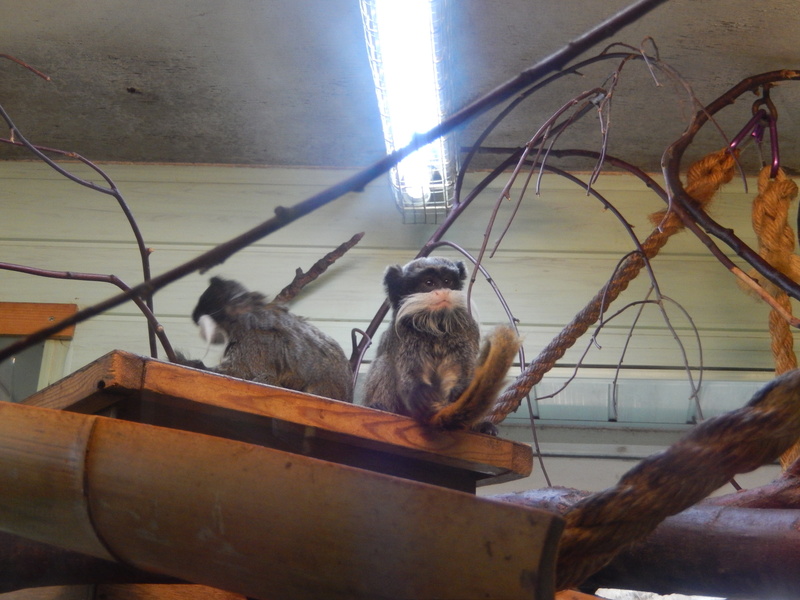 We continued our way round the zoo and went into the walk in lemurs enclosure, unfortunately we were advised there was only 1 lemur out as all the rest had gone indoors to hide from the rain – Can’t blame them really. Around 1pm we decided it was time for some lunch, we had brought a picnic with us, we headed back to my dads car and sat and ate it, my mum had made loads of food, sandwiches, crisps, sausage rolls, salad, fruit, drinks and cookies. I believe this section to be newish as I have never seen it before. 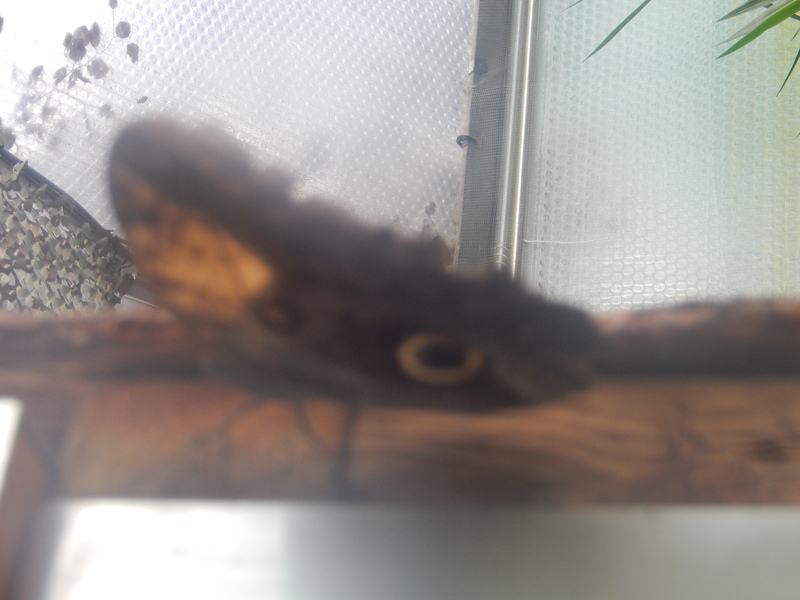 In here we found the butterfly enclosure with an array of beautifully coloured butterflies (apologies for the blurry pictures my camera got steamed up with the humidity). 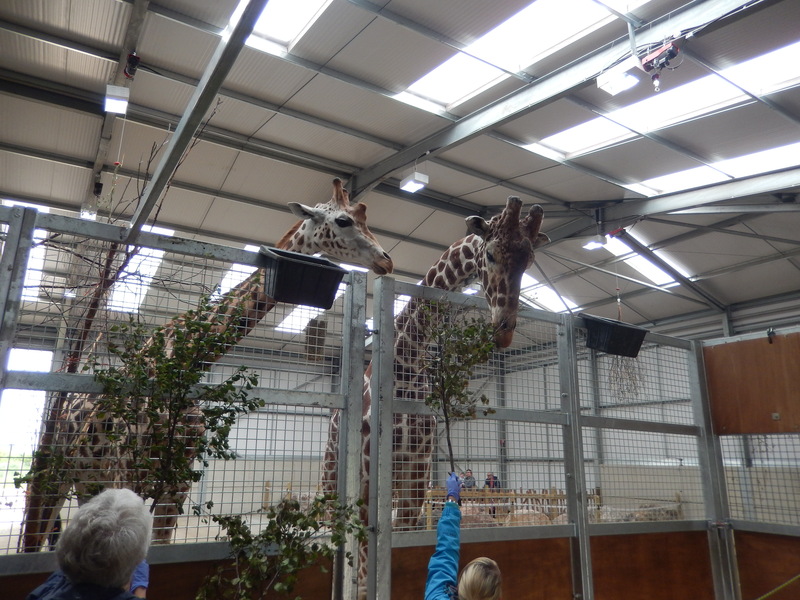 After we had explored this section it was time for us to all head over to the giraffe house and await our meet with the zoo keeper to feed the giraffes. Aren’t they just incredible animals. We were given some health and safety rules before we were able to start trying to encourage them inside to feed. 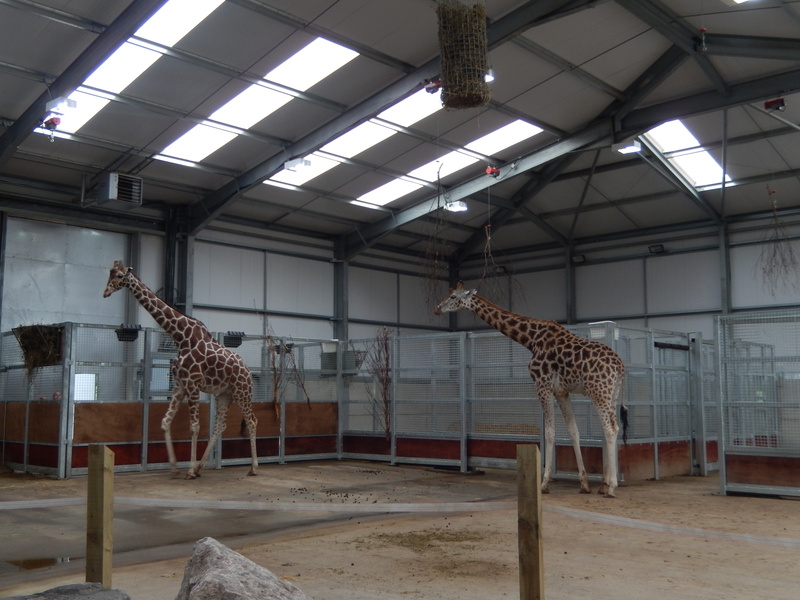 The giraffes arrived in Twycross for just over 12 months, so are still fairly new, they are all males and came from 3 different zoos. We all got the chance to feed them. My nephew was very excited to be able to do this. unfortunately they didn’t play ball as well as we would have like but it was an amazing experience to get up so close and personal with these absolutely incredible creatures. The boys all had names and were called Brad, Epesi and Setant. 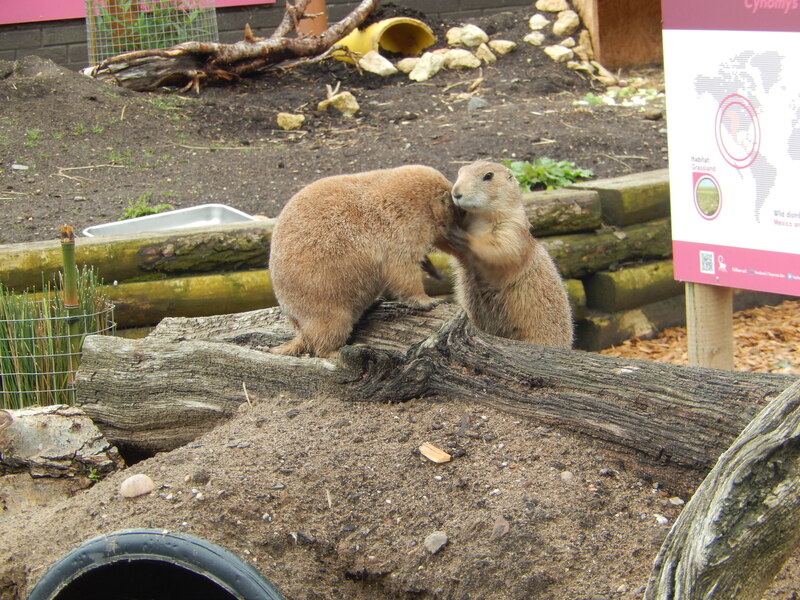 You can find out more about what other animals you can get up close and personal with Here. These would make a lovely gift for someone special. Even though the weather wasn’t on our side and we got merely a little soggy wet to say the least our day at Twycross zoo was amazing and the best bit was defiantly feeding the giraffes. 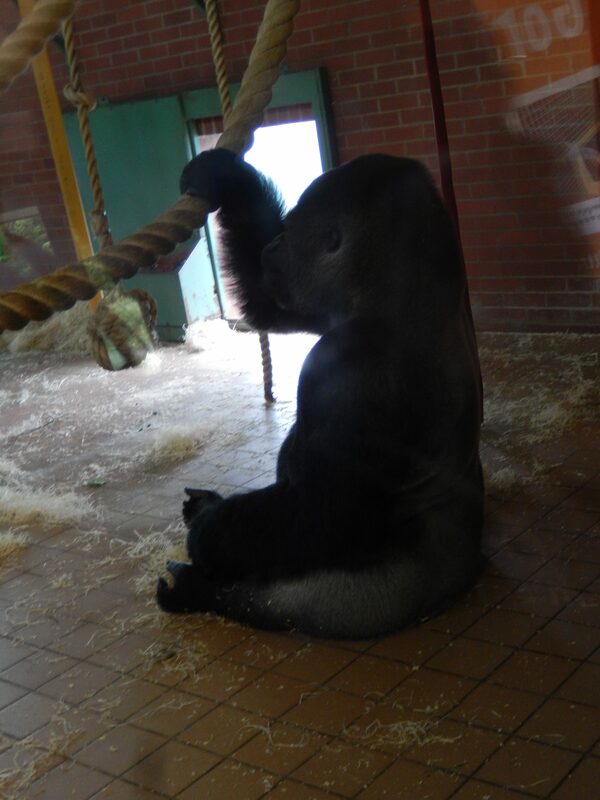 If you have never been to Twycross zoo head over there this summer. * Disclaimer – I was given entry to the zoo free of charge for the purpose of a review, all thoughts and opinions are 100% my own. 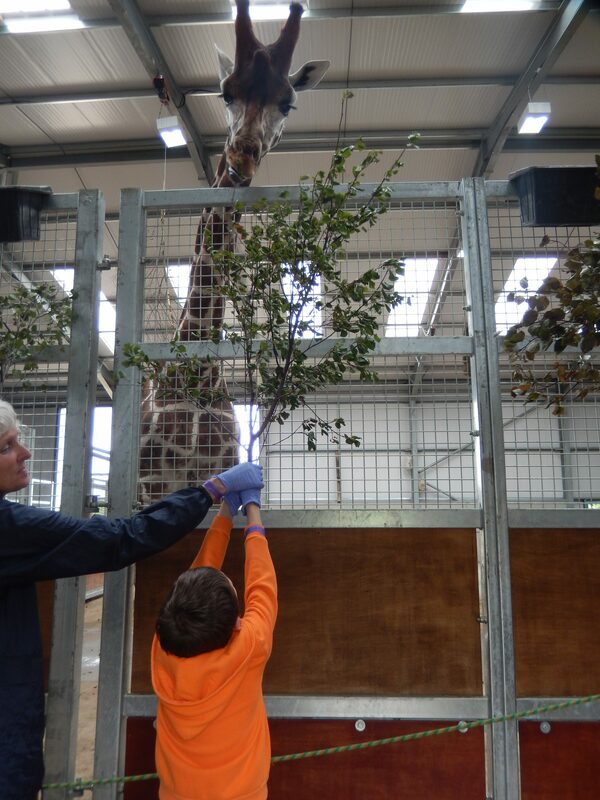 I paid £75 to be given the opportunity to feed the giraffes. Being an auntie is so much fun! You don’t have to be the one that disciplines them or grounds them. You just get to be the fun auntie that they want to hang out with. When it comes to birthdays and Christmases, I can go a little overboard. I know it isn’t about the presents and more about presence. But it is so nice seeing their face light up with a gift that you have given them. There can be things that I see when I’m out and about, and it just makes me think of them. Their parents are going to get them the standard gifts and the things that they ask for. So getting them something fun and special is so nice for me. Not too annoying and noisy, though. You know you’ll get payback from that from their parents one day! When your sibling is expecting a baby, there might be quite a few things that you want to get them. Everyone is excited for a new baby, and it is nice to be able to help out. I think it is a good idea to check with the parents first, though. Going out and just buying something without checking might be a bit of a no-no. They will more than likely want to shop and browse for things like baby cots themselves. You could always contribute to it, though. Things like nappies, wipes, and burp cloths are always a winner. Noone is ever going to be mad at getting them as a gift! A baby shower is always a good indicator of things that they might like. Some people register for gifts, so it is handy to be able to get things that they definitely want. It is also a nice idea to throw a baby shower as a gift before the baby arrives. It is such a special time, and a baby shower is a great memory to have; especially if it is their first baby. When the baby is born, then the fun auntie duties can begin! Quite often the parents will have everything that they need by then. Some of the best things you could do for them is to offer to babysit. Sometimes it might even be that they are in at home, but you just take over while they have a nap. The tiredness can be overwhelming for first-time parents, and that type of ‘gift’ is worth its weight in gold. Other thoughtful gifts could include making a meal for them or just heading over with chocolate. A new mum would love a little pamper time. You could buy them some food shopping or just come over to clean the house a little for them. Gifts of time are a great idea and mean a lot to new parents. When it gets to the baby getting a little older, then it is time to get all of the fun gifts and trips out. For up to their first birthday, they are learning quite a lot all the time. There is still a physical limit of all that they can do. So getting something like a walker is a great idea. They can navigate their way around the house, and it will help them to learn to walk. Things like building blocks are a great idea too. It will help their fine motor skills and development. Pull along toys are a great idea as they will be learning to walk and can drag it along with them. They look so cute being able to pull a little toy along with them. For preschool age, craft kits are a great idea for little ones. They love to get a little messy and creative. It is great for their development too. Painting is a great idea; pretty much anything that they can cut and stick. A sticker book or a little chalkboard easel is a great idea. If it encourages them to make an organised mess rather than making a mess on a wall, it is onto a winner with everyone! When they get to school age, there is a whole world of things that they will need or be into. First of all, if you want there to be nice to your sibling and their other half, you could offer to help out with the cost of school things. For your niece or nephews birthday, you could get things that foster their interests and hobbies. Quite often they have an interest in dinosaurs or in space, so you could get things that go along with those themes. At school age, children may be interested in collecting things. It could be Star Wars figurines or anything Disney related. Adding to their collection pretty much makes you the most awesome auntie ever. Books are always a winner with school aged children. Start off with books that they will be able to read. Then they can build up and move on to different and trickier books. Rhyming books are a great way to help them learn words and sounds, so Dr. Seuss books could be a good place to start. As they get even older, gifts that allow them to risk a little are a good idea. Now hear me out, I’m not talking about any super extreme. Things like a chemistry set are a good way to allow them to learn. But they can experience a little risk in the things that they are making. Though not real risk really. Trips out are always a fun thing to do with your niece or nephew. It is something that you will both look forward to. Think about trips to the zoo, a day at the farm or even the beach. Having family members that they are close with is so important. Quite often there might be things that they don’t want to talk to their parents to. But if you build up a close relationship with them they should be able to share these types of things with you. As a homeowner, the maintenance of your property is your responsibility. A lot of homeowners make the mistake of not keeping on top of their maintenance, but this is a big mistake and one that you don’t want to make. The truth is, a property’s value isn’t just about its location or size, it’s also about how well maintained it has been. If you let your home get into a bad state and don’t keep on top of repairs and updates, should you want to sell, the value won’t be as high as it could be. That’s why it’s so important to make an effort to keep on top of things, and if you can’t, hire someone who can. Being smart about your home’s maintenance is essential if you want it to hold it’s value. Want to know what areas of home maintenance it’s most important to focus on? Then, keep reading as all is about to be revealed. The first thing to know is that exterior inspection of your home is just as important as keeping an eye on the inside, if not more so. The truth is, a lot of us leave the exterior of our homes when it comes to maintenance because it’s more tricky to check and deal with. If you’re not able to make checks yourself, hire a contractor who can. As for what you should be checking, the most important things are the foundations for any cracks, the roof for any damage, and any window or door seals. There’s also garden maintenance, such as lawn mowing and de-weeding, but this isn’t as crucial. Don’t have a green thumb? Why not hire a gardener to deal with your garden maintenance needs? There appliances inside your home that will be left when you move house, such as the boiler for example. It’s important to ensure that all household appliances that come with the house are well maintained and cared for. It’s also important to keep an eye on the features, like the water system, electrics, and so on. For instance, your electrics should be checked by a qualified electrician once every couple of years. Or, for example, plumbers recommend that your boiler should be serviced once a year. By keeping up with home maintenance, you can ensure that not only do appliances last longer. But also that they’re in a great condition when (or if) you chose to sell up. Don’t make the mistake of skimping on home updates because of the cost. Of course, there’s no need to redecorate every year to keep up to date with all the newest trends. However, it’s important to update any decor when it starts to look old or worn. It’s amazing how much a property’s decor can reduce its value. So if you want to ensure that your home is as valuable as possible, keep up to date with home updates. Your home will look beautiful and will be worth more. Hopefully, you’ll find these tips helpful for keeping your property’s value as high as possible. We might be a nation of tea drinkers, but we get through plenty of coffee too. And if you hop over to the continent, you’ll find much more coffee and a lot less tea. For example, the people of Sweden drink a whole lot of coffee. If you drink coffee, but you’ve never really given it much thought, you might want to think again. Perhaps the most you do is mix a mug of instant coffee in the morning, and that’s enough for you. But there’s much more to coffee than you might imagine. There are several reasons it’s a fun and interesting thing to start thinking about more. Here are a few reasons you should give it some more of your attention. Drinking coffee doesn’t just have to be an incidental thing that you occasionally do. If you already have coffee often, you might as well start learning more about it. Just like people who love beer, wine, baking, or any number of things, it can become a fun hobby. There are so many ways to turn coffee drinking into an activity you regularly do. You could look at coffee grinders to buy your first one. Then you can start building a sophisticated coffee-making setup. As well as making coffee at home, you can go to coffee tastings (or cuppings, as they’re called). You can do research to learn about coffee, cook and bake with coffee, and more. There are lots of studies that suggest coffee could do good things for you. The benefits range from giving you antioxidants to even helping to prevent cancer. Coffee might be able to help people with Parkinson’s control their symptoms, and it’s good for your liver. A study has shown that drinking coffee daily reduces to chance of liver cirrhosis. What’s more, women who drink several cups of coffee a day might be less at risk for skin cancer. And, of course, because coffee contains caffeine, it can give you an energy boost. Coffee has caffeine in it, unless you purposely go for a decaf product. As well as raising your energy levels, one of the things caffeine does is help you to focus. You will find it in many weight loss products and performance enhancers. Coffee can make several of your brain’s functions sharper. You could use it to improve your logical reasoning, your attention, reaction time, and more. You might be a coffee lover, but how much do you know about the industry? Being a conscientious coffee drinker is worth it if you want to be kind to the planet and your fellow human beings. If you spend more time picking out your coffee, you can find products that are fair trade and benefit the communities that make it. 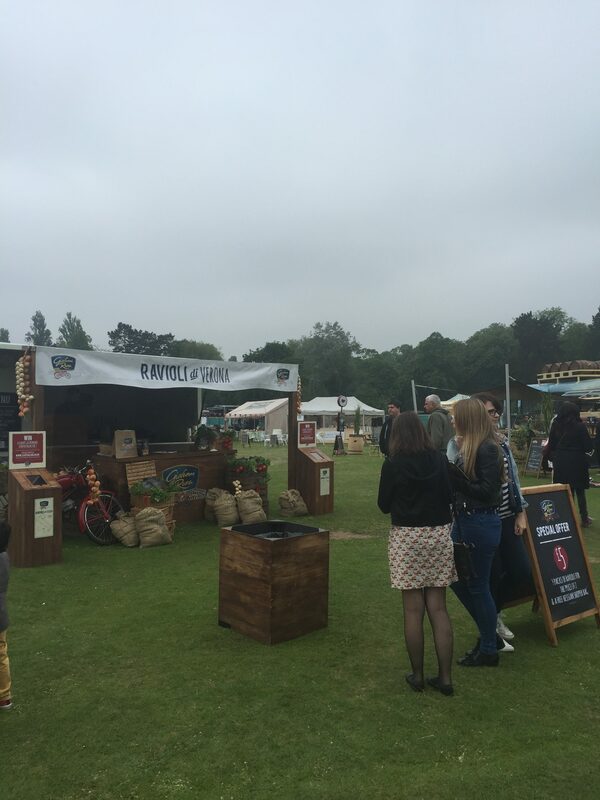 Plus, mulling over your coffee selection will help you get something with more flavour too. Don’t let coffee be just another part of your day. Give it some real thought and start taking it seriously instead. 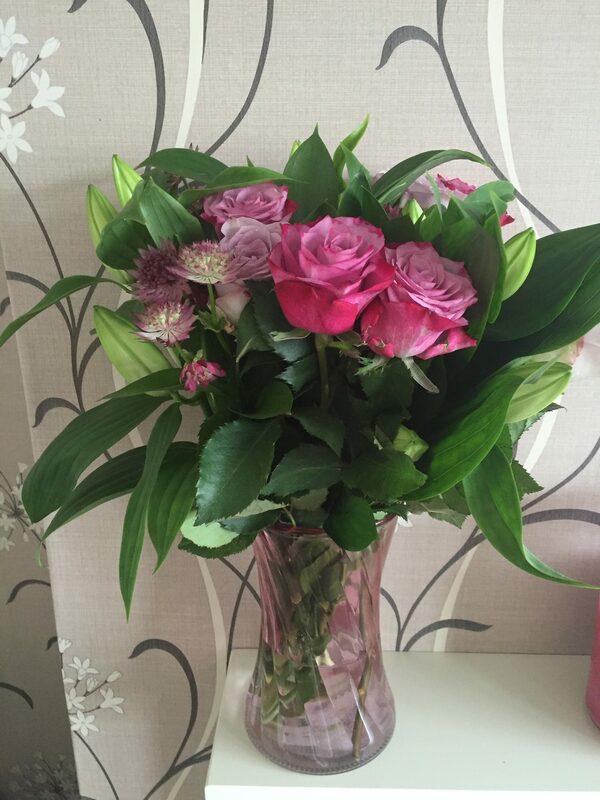 I have had quite a few different kinds over the years from family and friends and most recently when I had to go into hospital for a minor operation, I came home to some lovely flowers – they really do change your mood and make the house look extra special not forgetting the aromas they give off. When prestigeflowers got in contact with me saying they were sending me a bouquet to review. They came packaged very well and carefully. With Memory Lane roses, divine deep water roses complimented with fragrant oriental lilies, astrantia and forest fresh eucalyptus it is the perfect bouquet for all occasions. I put the bouquet in the lounge on the fireplace. I absolutely love roses and lilies so was a perfect combination for me. 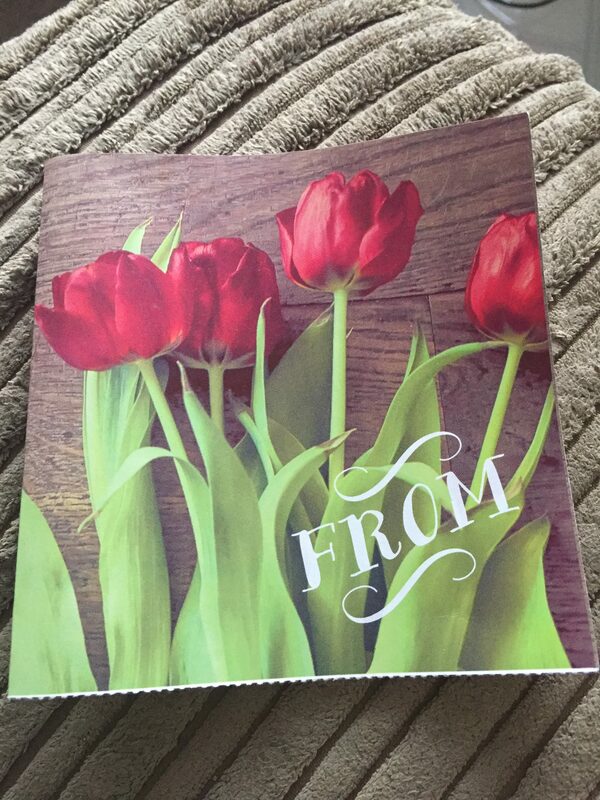 With the flowers I got a lovely little card. 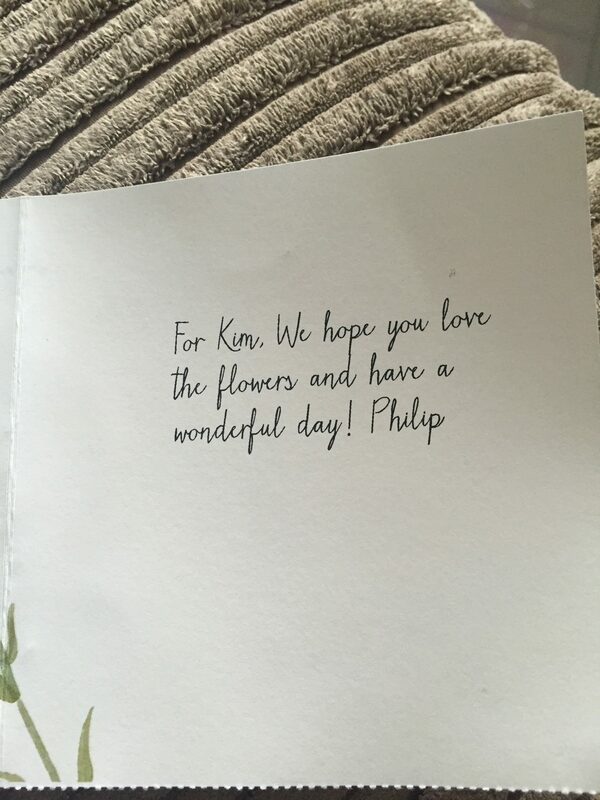 I got my flowers delivered on a Wednesday 8th June, they arrived by 11am. The Paris bouquet I received is £35.50 for the “Standard”. It gorgeous! I’ve had the flowers a week now & they still look really fresh.The fragrance that the flowers give out just fills the room. You are supplied with flower food. 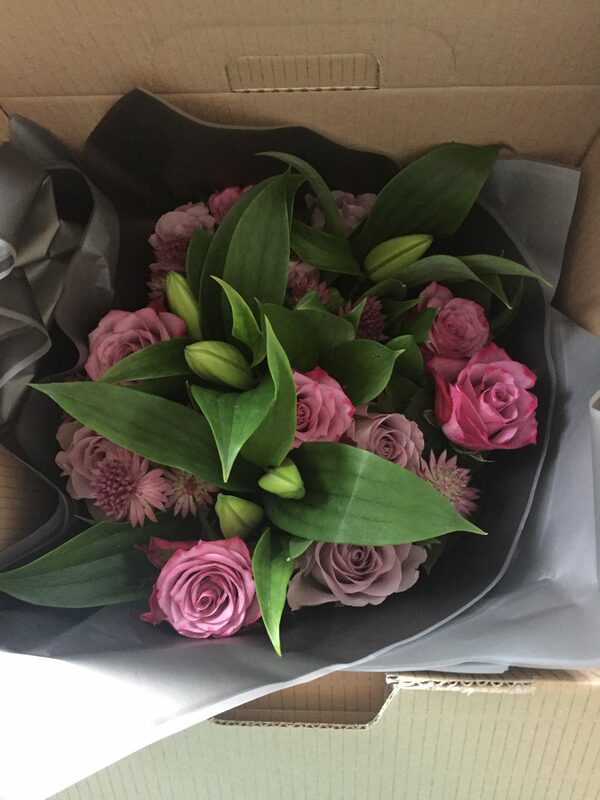 Whenever I order flowers in the future now I would defiantly order from Prestige the services was fantastic and the quality is excellent. When little kids adopt new, exciting hobbies, their whole world can turn upside down. They discover new skills, and learn important life lessons. They find the things that light them up earlier on in life, as opposed to doing it later on when they feel it’s ‘too late’ to do anything about it. Giving your kids hobbies while they are very young is a really good idea. Here are just some hobbies you can try. Reading to your kids is fundamental whatever their age. When you read to them early on, you give them all kinds of new skills. They’ll improve their listening and speaking skills. They might even become good writers themselves, as you help them to develop their imagination. Encourage them to write little stories and poems if they want to. Whether they want to write themselves or not, reading is a must! The kind of things your kids can build are endless. From model bridges to making things like scrapbooks, they can have a lot of fun building just about anything that takes their fancy. Help them by giving them a kit full of tools to build whatever they like. Painting is a great way for kids to learn to express themselves. When they paint, you should never tell them that something is wrong. If they paint the sky purple, let them have a purple sky. Again, this goes back to helping them develop their imaginations and having confidence in their abilities. Gardening not only helps them to stay active and develop an interest in nature, it also strengthens their immune systems. Why not give them their own small square of garden to play with? You could even let them grow things inside the house! 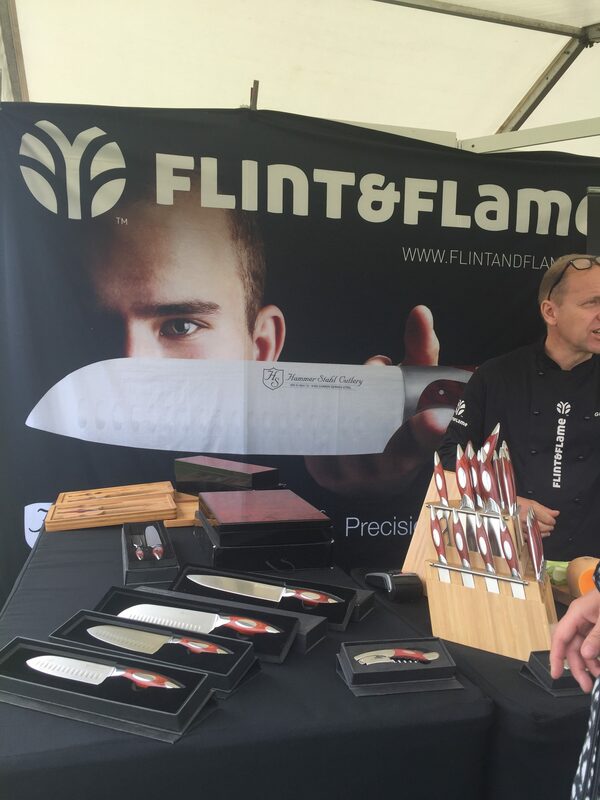 Cooking is important for anybody to learn – everybody needs to eat! Let them cook with you from a young age, and maybe start letting them use cooking kits when they are old enough. Horse riding is another great hobby, as it not only keeps kids fit and healthy, it also teaches them plenty of other important lessons. Horses take a lot of upkeep, so they’ll learn all about this on their horse ownership journey. This kind of hobby doesn’t come cheap, but it’s always worth it. You can always look at sites like www.todaysequine.net/the-coolest-horse-games-for-girls/ if you’re considering a kind of hobby like this. There are so many other sports your child can enjoy, from football to swimming. Letting them try as many as possible will help them learn where their heart lies early on. Collecting might seem silly, but it takes discipline and focus. Depending on what they are collecting, they may even make money on some valuable things later on in life. Try any of these hobbies with your kids and you’ll notice a huge difference in them. Start them off while they are young so they know what lights them up as early on as possible. This usually helps them to find their passion in life sooner than most! Increase Home Eco-Efficiency To Save Massive Amounts Of Money! One of the best things about buying a house is that you can kiss the stress of paying rent goodbye. Sure, you probably still have mortgage repayments, but these are going to be a lot more manageable. They are probably a fraction of what you were paying in rent each month. This means that you should have a lot of money free once you’ve bought a home or property and it belongs to you. That should be the case, but it doesn’t always happen. Usually, people end up losing a fortune on energy bills. Typically, that’s because their home isn’t setup for high levels of efficiency. You might think to get an efficient home you need to buy a house with a high-efficiency rate in the first place. Not true. Most homes have two energy grades. One is the energy efficiency level it’s making in it’s current state. The second is the potential energy efficiency level. You should aim to get as close to the potential as possible. If you do this, you’re going to save a lot of money on your home. The first thing to do is to get your boiler inspected by a professional. If you’re spending a fortune on heating your home, there’s an excellent chance that there’s a problem with your boiler. If your boiler is using a lot of energy, it might be damaged. Once it’s repaired, you’ll probably find that your energy usage reverts to normal. If it’s still quite high, there are other things you can do. But you should get your boiler checked at least once a year. You can think about improving the home insulation. One possibility on how to do this is to look into double glazing windows. You can replace older windows with PVC double glazing. Arguably, this is the best form of window insulation on the market right now. It will trap warm air in the home while still letting cold air out. This is going to prevent condensation or mould developing around or on the window. Replacing your windows can be expensive so make sure you look online for the best deal that you can find. But, you also need to know that you’re using a company for the installation that you can trust. You might think that you’re saving money by not bothering to upgrade your TV every few years. But actually, you’re probably losing more than you’re saving. Older televisions have higher energy usage than modern sets. That’s true for most tech devices in your home. It’s why upgrading your tech could ultimately save you a fortune in the long run. Newer televisions use less energy because they are powered by LED displays. LED lights provide powerful displays but use very little energy. That’s why modern TVs are so thin because they don’t need a cooling system to stop them overheating. But LEDs aren’t just found in TVs. You can buy LED bulbs for every area of your home. It’s a cheap and friendly light source that will quickly lead to massive savings. Hopefully, you will find these tips helpful when making your home more eco-friendly. Unless you’ve been living under a rock, you’ll have noticed that house prices continue to soar. As a result, more and more people are asking whether they should just keep renting indefinitely. After all, most people don’t want to be saddled with a huge mortgage. And even if they do, they know that there’s a chance they won’t be able to pay it back. On the plus side, renting has improved a lot over the last couple of decades. Rental properties are now of a much higher quality than they used to be. And they tend to be cheaper than buying a house outright. Big down payments are the bane of property-seekers’ lives. They have to spend years saving up a big lump of money, making all kinds of sacrifices. But for renters, the burden is much smaller. The average deposit on a rental agreement is about one and a half times the monthly rental cost. That means that renting is both affordable and easy to do. Plus, once you leave rented accommodation, you get your deposit back (provided you didn’t trash the place). Fluctuating prices are a big issue for many homeowners. Mortgage interest rates can go up and as well as down. Taxes on properties that you own can vary too. And it all means that managing a mortgage can be difficult. Renting, however, is far easier. Prices are fixed right at the start of the contract. And though landlords may increase the rent between contract periods, you can plan for this. Moving to a house is a big ordeal. In fact, it’s so complicated a transaction that you need lawyers, surveyors and estate agents to make it happen. That means a lot of paperwork and a lot of hassle. But renting is far easier. The only question you really have to ask when renting is: “is there an estate agents near me?” The rest is quite straightforward. In many countries property taxes are sky high. That means that homeowners often have to fork out large sums of money, especially if their homes go up in value. Plus, property tax law tends to be overwhelmingly complicated. Homeowners often have to shell out on accountants fees. Renters, of course, don’t face this risk. All of the burdens of organizing taxes gets passed onto the landlord. The great thing about renting is that you’re never locked into renting a single place for a long period of time. Whereas the cost of moving home is enormous, the cost of taking on a new rent is generally low. Usually, it’s just the cost of the estate agent’s fees, plus the deposit if you’re renting for the first time. Although you may ultimately want to own your own house, it’s important to know that you’re not necessarily worse off renting. Of course, it’s not just a financial calculation at the end of the day. It’s about quality of life too. And this is where renting can shine. 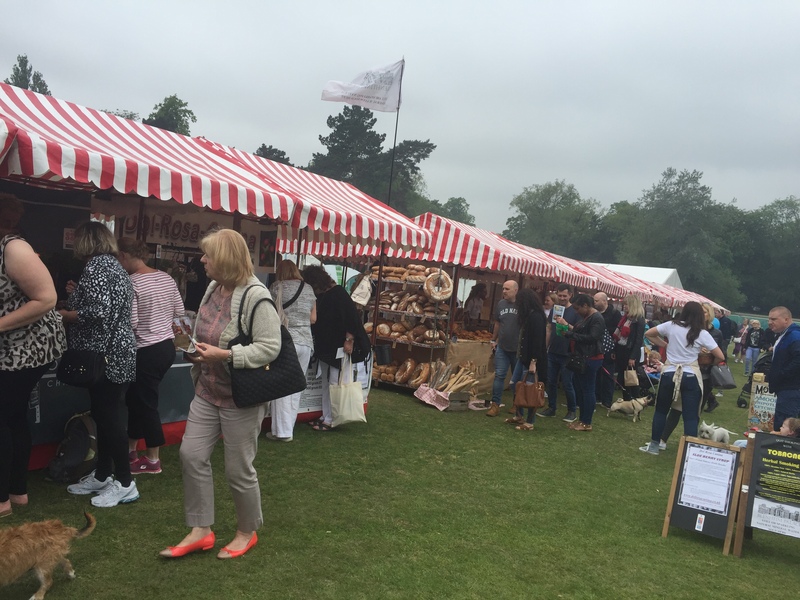 On Saturday 4th June me and my mum in law headed out to Cannon Hill Park to visit the Food Festival, We met up with her daughter, boyfriend and their 3 boys. We arrived around 10.30pm and the gates opened at 11am. There was certainly a large crowd gathering, waiting to get into the festival. The weather was slightly overcast when we arrived too but was warm. 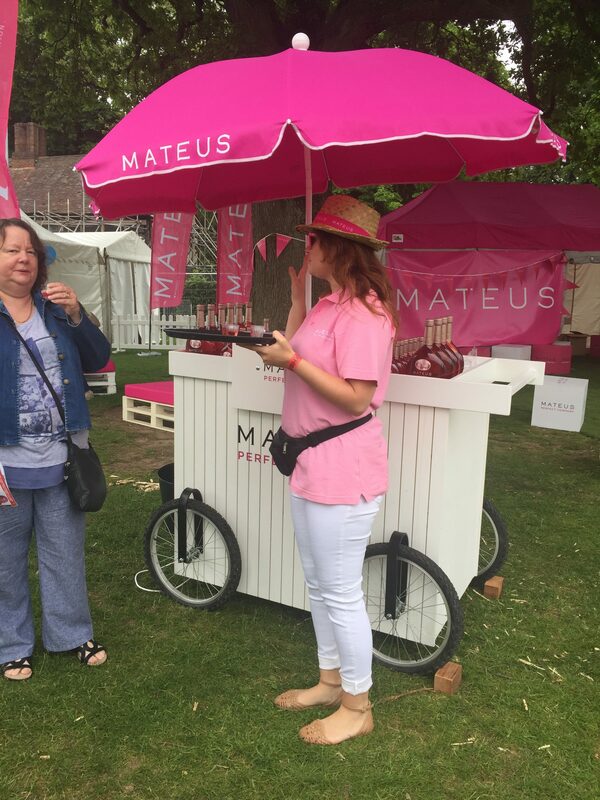 When we finally got through the gates there were so many different companies and lots of freebies been handed out. We tested lots of ciders and wines all before lunch time – Acceptable right? There was also ravioli pasta, cheeses, fudges, honey, and so much more. It was delicious. I was getting full with just the freebies. 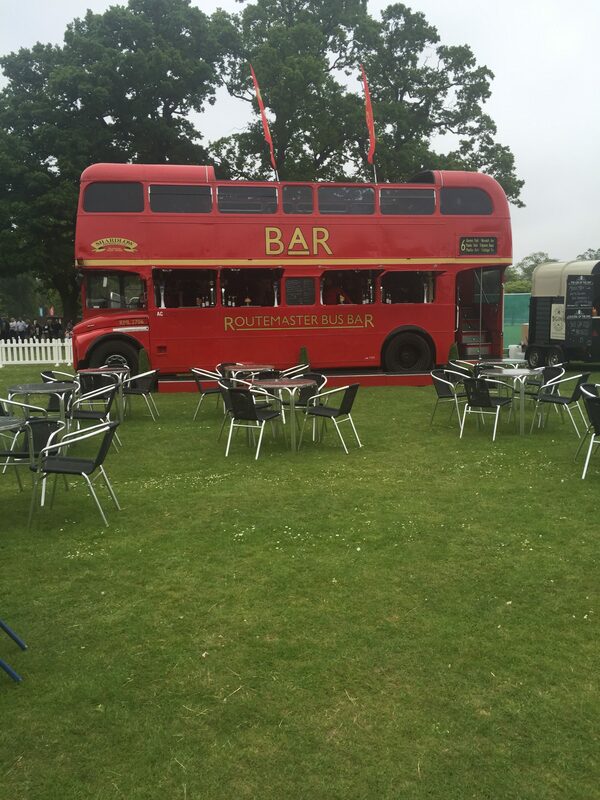 There was even a bus made into a bar. 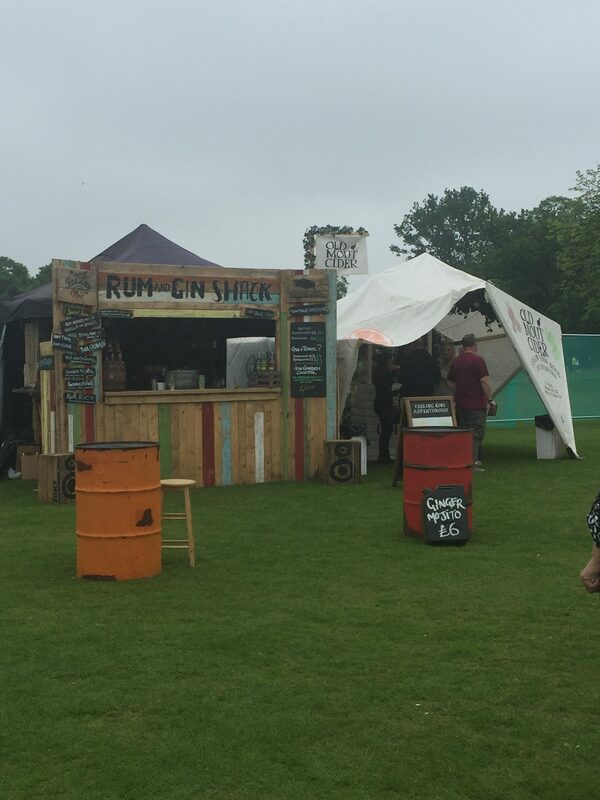 As we continued walking round, we found the Regge Regge Chicken Van that was hidden away in the corner, I’m not good with overly spices things I can just about cope with Nando’s “Medium” sauce. I didn’t know what to expect, but the samples they were giving out were delicious. Little chicken drumsticks cooked in the sauce with spring onions in a little tray. Was very yummy, but a little too spicy for me. They were also making nachos, I prefered these. There was so many different stalls, there was also a curry one, this was amazing the staff let us try a little bit of curry and it was amazing the meat just melted in your mouth, and the taste just exploded in your mouth. It was a great day overall and would defiantly go again. * I was given complimetary tickets for this event, all thoughts and opinions are my own.